The WSFMA Regional Leads program goals are to build local capacity at farmers markets around food access programs, marketing, and general market operations. We seek to build community partnerships to foster capacity building, collaboration with community stakeholders, and to foster peer-peer resource sharing and education. The Regional Lead program provides support in kids programming, cooking demonstrations, vendor recruitment, incentive programs, market manager support and a food access forum to establish “peer to peer” networking that will enable markets, educators, and contractors to communicate regularly and share experiences. An interactive map has been developed to highlight information about participating markets including if they accept SNAP EBT and the WIC & Senior Farmers Market Nutrition Program vouchers or if they offer an EBT incentive program (AKA “Fresh Bucks” or “Double Up Bucks”). 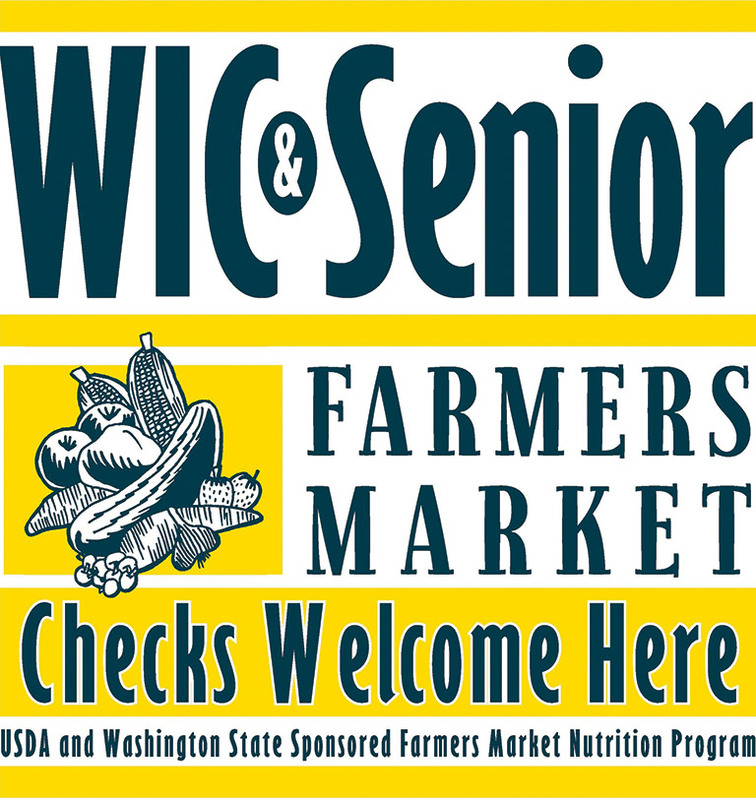 The Women & Infant Children (WIC) and Senior Farmers Market Nutrition Programs (FMNP) provide vouchers to program participants to purchase fresh fruit, vegetables, and herbs (seniors may also purchase honey) from farmers markets. WIC FMNP is available to low-income mothers with young children. You can use your WIC FMNP checks to buy fresh fruits, vegetables, and herbs at participating farmers markets. Please note that you cannot receive change. If you are interested in applying for WIC FMNP, call 1 (800) 841-1410 or apply for WIC FMNP online. Senior FMNP is available to low-income seniors. You may qualify if you are 60 or older and have an annual income below 185% of the Federal Poverty Level. You can use your Senior FMNP checks to buy fresh fruits, vegetables, herbs, and honey at farmers markets. Note that you cannot receive change. If you are interested in applying for Senior FMNP, please call Senior Information and Services at (206) 448-3110 or apply for Senior FMNP online. Forums are held from October through April on the third Thursday of each month from 12 to 1 pm with the goal of establishing a peer to peer network that will enable market managers, educators, and contractors to communicate regularly and share experiences. This will be an opportunity to highlight successful initiatives, problem solve, and find new ways to collaborate.